Any complexion is beautiful only when it is at its natural best! When your inner glow, combined with some skin-deep treatment, brings about the best in you, you’ll know you’re ready to slay it with your look! 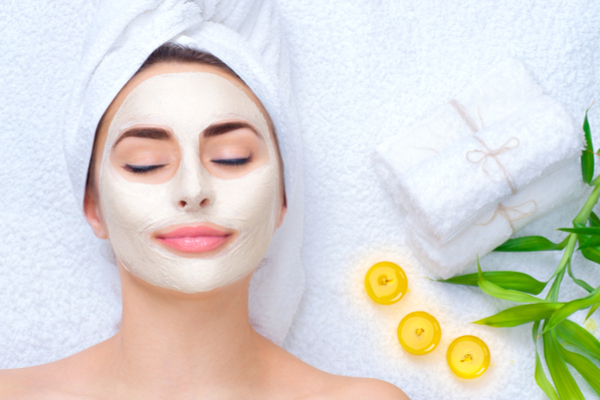 Welcome to Casmara Facial that promises to bring out the best from your skin and impart a natural glow to it with the help of natural ingredients. The Natural Peel Triactive Exfoliating Gel contained in the facial contains the synergic mix of glycolic acid, lactic acid, and salicylic acid that act as a natural balsamic and moisturizer and improve the overall appearance of the skin. The Vitamin Vegetable Mask is made with marine algae extracts and a generous amount of natural Vitamin C nutrients from orange and dill. While the Vitamin C acts as a skin clarifying active principle, antioxidant and stimulant of collagen synthesis, the marine algae extracts work naturally to exfoliate the skin. This mask facilitates the penetration of the active ingredients contained in the mask and the cream applied to the skin. The uniqueness of the mask is that it can also be applied over the eyes and on the lips, areas generally neglected by other masks. It lowers the temperature of your skin by up to 6ºC, providing a draining effect, and reducing puffiness and dark circles under the eyes. The Casmara Absolute Essential Cream -3 is rich in avocado oil and Vitamin F which naturally promote skin elasticity and protect cell membranes, thereby warding off wrinkles and other ageing marks. Formulated with sea water and seaweed extracts, the nourishing cream is ideal for dry and deeply undernourished skin. Stimulate cellular activity of your skin at an extraordinary level with the natural ingredients enriched Casmara Facial. ← Shape Of Your Nails Matters Too! Read On To Pick Your Fav.